im interested in this, have you got a picture of the back? What kinda price you looking for? picks on the guitar and do you still have original pick ups? lol mate i pmed you but posted in other thread. 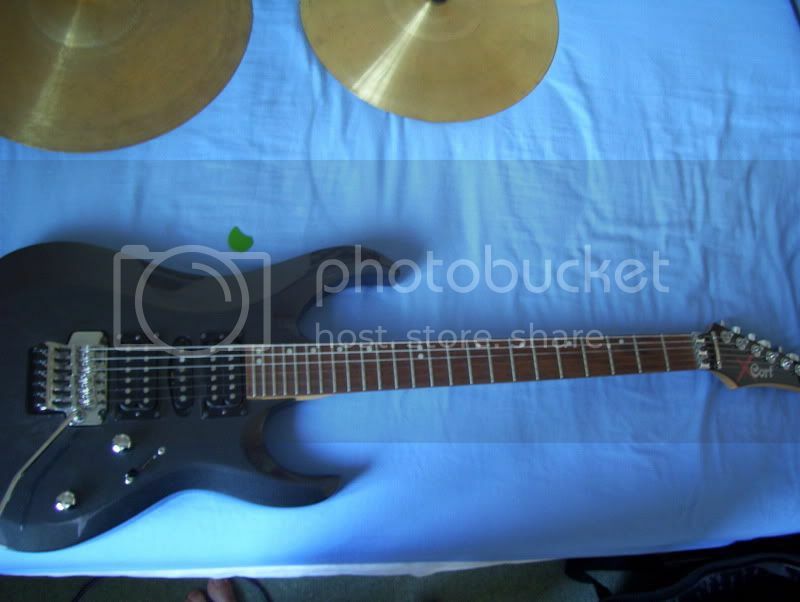 FS: BC-Rich Warlock NT 5, £240 Shipped (UK ONLY)! ok I thought maybe you had taken the pictures before the stickers had gone on. Is the vintage still up for grabs? outa interest can you take the stickers off the tokai guitar? If you looking to sell it you need to get rid of them. Also what cases do you have for both your guitars? Im game lol, i pm'ed you my email. sorry mate i haven't got a 9v adapter to test it with, pretty sure it would work with it but then its a question off wether you would get sound for it. Basicly I'm heading off to Cardiff for uni this week and need the cash so its gear clearout time! 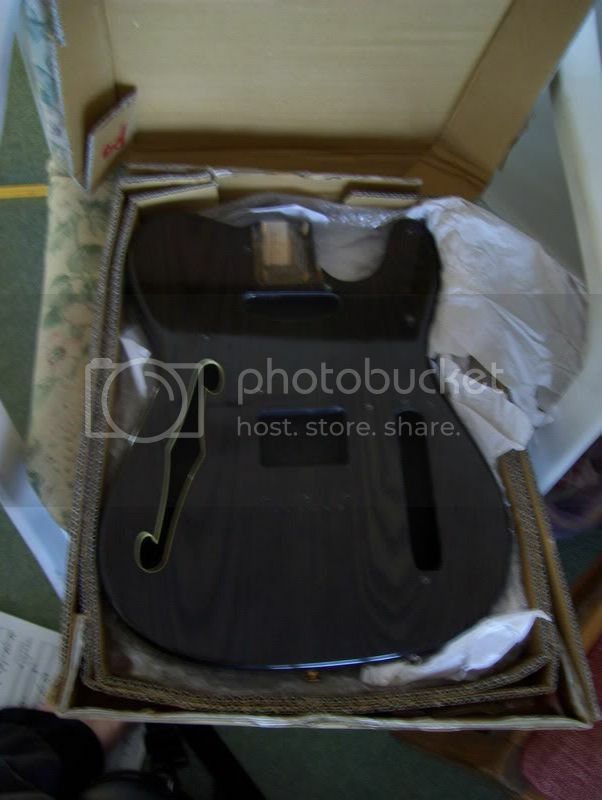 I have no experiance with posting guitars and so the guitars are only for pickup in gloucester (where I live now) and Cardiff. The body and pedal can be posted. Idealy I need a quick sale so if theres no offers then I will put everything on ebay. If everything goes then I will not have a guitar so will be on the lookout for a second hand guitar with two humbuckers and that is not a 'metal' guitar PM me. I have owned this guitar for a few years and I'm only selling because it doesn't fit my style anymore. Everything works fine apart from the trem arm which is a little wobbly (never bortherd me) and the headstock which as you can see from the photos has a dent in it. Your basic strat starter pack. Stg 004 (2 sc 1 humbucker) with 20 watt aria amp, case and lead. Had this for 4 years and its done a good job. Only minor chips with a dent in back of body. Plays fine would be a idea starter kit for a learner. Had this for about a year was in crap condition when i bought it. 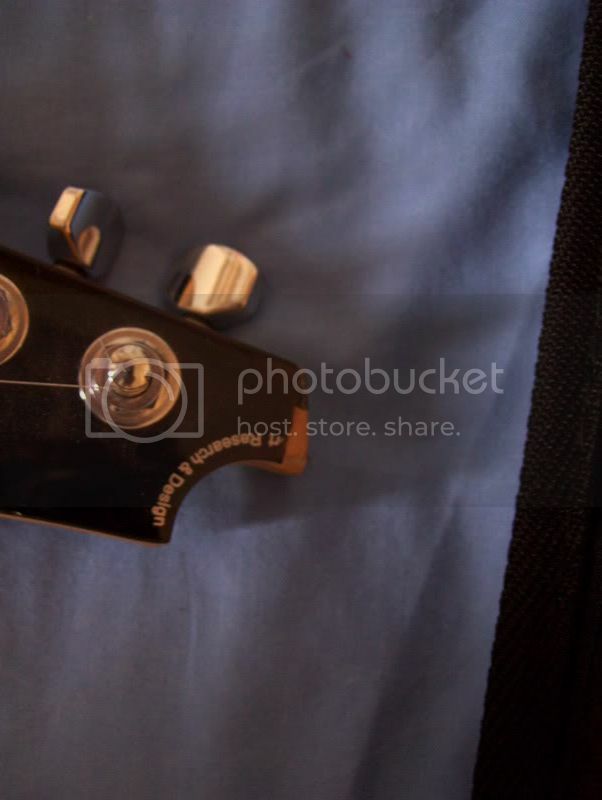 Body has chips (not seriously) and scuffs in places, screws are slightly rusted (but still work), one of the tuners is a bit suspect but still works and pick up selector sometimes makes a noise when used. Also missing a bridge post but that doesnt effect playablity. Plays fine mind and apart from the pick up selector no electronic problems. Would be good for a learner or somebody who wants to take a guitar apart and experiment. Had this about 9 months would of loved to of made a proper job out of it put sadly school work got in the way. Looks awesome routed for one sc and one humbucker. Needs to be routed for a bridge and neck pocket is bigger than ordinary but comes with a neck plate and screws. No chips or other flaws like that will make a brilliant project fro somebody. BROKEN. Batterys don't work but 9v adapt will. Also one of the sockets is loose and is very unreiable it might be a simple fix but I don't know. Have not tested this for about a year. For somebody who whats to ''have a go'' at electronics. Thanks for looking. If I get no replys then it will go up on ebay mon/tues. I leave for cardiff thurs/friday so will need to know if anybody is interested and their location by then. Please note I will not post anywhere out side of the UK. Anyway, I have a single locking trem on a cort x-6 and never had any really problems with it so long as its set up properly. All this voodoo about double locking is rubbish. UG'ers with good taste in music - I need you! As Zaphod said just make the strumming pattern to fit the song your playing, its hardly ever just playing the chord once and letting it ring, if you find yourself doing that then try staggering the chord over the bar/s. yeh you need to replace the pot, no biggy just make sure you know what value the pot was that was orginally there. Usally its 250k for single coils or 500k for humbuckers. I think the ferry would have its own policy and the drinking ages in the countries wont matter. 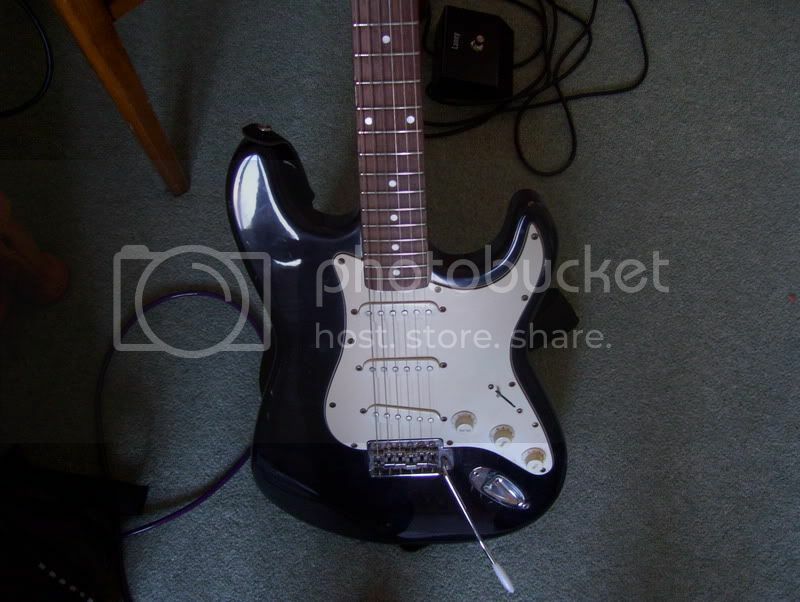 Looks good, the only thing i dont like is that your neck pickup is not as close to the neck as it should be. just checking I for one am a neutral but will be rooting for the red devils. is it a 3 pm kick off? P-81 and P-60s arnt meant to be used for Single coils. I have the same guitar as you if it means anything. I would put an active SC in just for a bit of a difference you might be glad of it some day. sadly it wont becuase if its designed for the nekc it will sound worse in the bridge. I thought the orignal paint job (but if you like it..) was better but apart from that you did a good job. Having said that I havnt used pro tools. I know what you mean, its called a furrucle(sp) hopefully it should stay in, if it comes out again I would try glueing it in. Im looking for some good blues songs to play and sing on accoustic, they need to have a degree of wow factor to them. To give you an idea of level of playing I am at I can play and sing 'Pride and Joy' by SRV. some keyboard amps have XLR sockets for vocals. What are looking for? when you say 'retain the finish' do you mean neck or body. But as soon as you start sanding you will lose you finish, and what is it about the finish you like so much? better safe than sorry, sand the laquer off and start again. behringer (sp?) cheap but good. I think I have a speedloader and its fine. I only use it for one tuning but then I only ever play in Standard E anyway. With the locking nuts unlocked it still stays in tune even after a bit of a beating. Licenced floyd rose prices. What's going on? singles effect = analogy = real tone. This come from somebody who owns a multi effects unit. Whats smarter? Buying one pedal every couple months, or a multi-effects now? 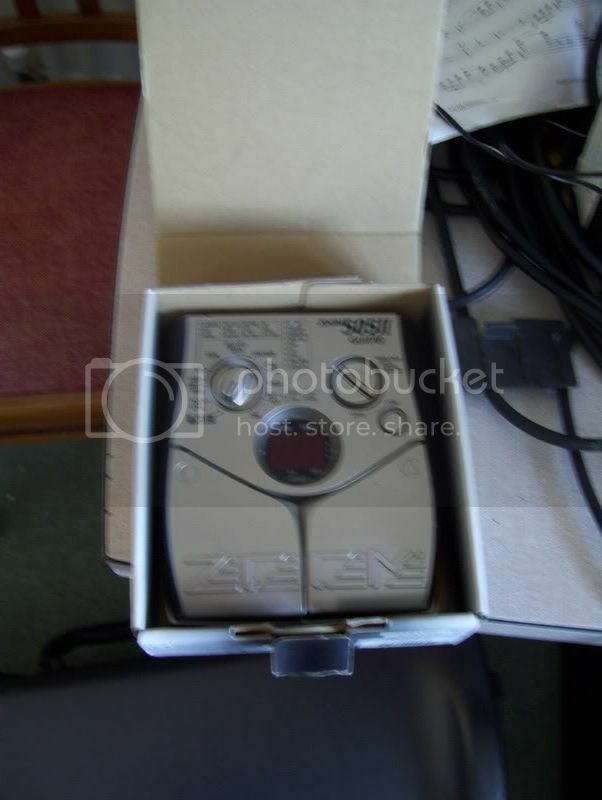 you wont be needing a moddling amp as you have a multi effects pedal, as phili said. What kinda thing will you want from an amp: size wise? sound wise? there easily the best: very quick and easy to use. Suggestions For A Good Capo? there isnt a lot of difference between the two spacings but I would get the f spaced as its spaced for a floyd rose. If your unsure get your ruler out and measure the distances between your strings, Standard spacing is 50mm Trem spacing is 52mm. 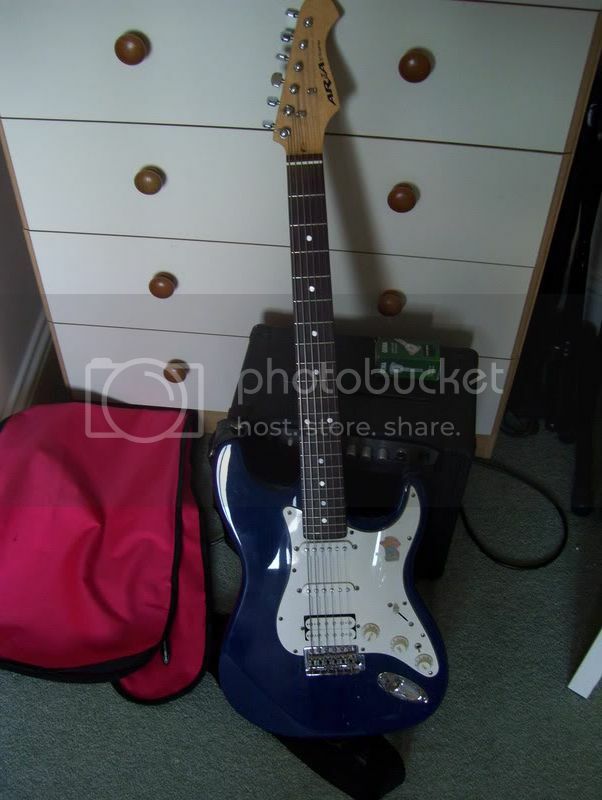 Ibanez Gios are not that good, hes just got a half decent pickup in a rubbish guitar, i wouldnt get it. Second hand, should I get it? I go with a amp. Vintage SGs are good/ok imo. 50/60 tube is very loud. Im no expert but I would say than 10/15 tube is almost to much for bedroom pratice so you may want about 20/25 for small gigs.